The strike called by the Spanish Union of Airline Pilots (Sepla) has forced Air Nostrum to cancel as of Monday, 148 flights that had been scheduled for this week. During the first three days of the strike, Monday 15, Tuesday 16 and Wednesday 17, about 10,000 passengers will be affected . The company maintains 76.4% of the 627 scheduled flights for the minimum services decreed by the General Directorate of Civil Aviation for those three days. The minimum services include 100% of the flights with origin or destination Balearic Islands, Canary Islands and Melilla and flights in Public Service Obligation in peninsular territories (Almería-Sevilla, Badajoz-Madrid and Badajoz-Barcelona), between 29% and 31% of the flights between Spanish cities in which the alternative is less than five hours, and between 45% and 47% for those exceeding five hours and for those connecting Spanish airports with foreign cities. Customers affected by these cancellations can opt for reimbursement of tickets or relocation on flights / alternative dates to fly until May 10, according to availability, the company has reported. Customers who have purchased their tickets through iberia.com will receive a message from Iberia, the company for which Air Nostrum operates the affected flights, on the incident that has occurred. If you have purchased the tickets through a travel agency, you will be the one to contact the clients. If you do not receive any notification, you can contact Serviberia (901 111 500) or your travel agency to see the available alternatives. 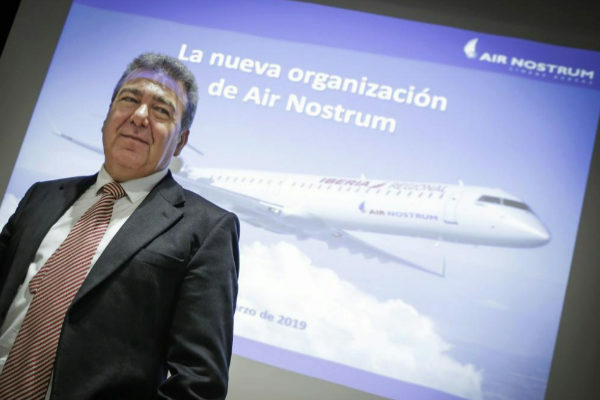 Air Nostrum affirmed in a statement that it maintains the negotiating attitude to try to cancel the stoppages and is doing everything possible to minimize the disruption that this strike is causing in the passengers who are going to travel those days. The company will soon publish the list of flights canceled for April 22, 23 and 24 , dates on which there are also calls for stoppages by Sepla.